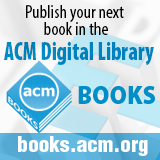 Welcome to the February 11, 2015 edition of ACM TechNews, providing timely information for IT professionals three times a week. A Picture Is Worth 1000 Words, but How Many Emotions? Researchers at the U.S. Defense Advanced Research Projects Agency are developing Memex, a search engine designed to access the Dark Web and uncover patterns and relationships in online data to help law enforcement track illegal activity. "The main issue we're trying to address is the one-size-fits-all approach to the Internet where [search results are] based on consumer advertising and ranking," says Memex program manager Chris White. He says Memex will achieve this goal by scraping content from traditional websites and analyzing thousands of sites on the Dark Web, which have .onion Web addresses and are accessible only through the TOR browser and only to those who know a site's specific address. Part of the Memex project seeks to determine how much of TOR traffic is related to Hidden Services sites. "We think there are, at any given time, between 30,000 and 40,000 Hidden Service Onion sites that have content on them that one could index," White says. The content on Hidden Services is public, because it is not password-protected, but is not readily accessible through a commercial search engine. The researchers also want to find a way to better understand the turnover of such sites, and to use automated methods to analyze that content to find hidden relationships that would be useful to law enforcement, the military, and the private sector. The White House on Tuesday announced the creation of a new office for analyzing and sharing cyberthreat information across the federal government. The Cyber Threat Intelligence and Integration Center (CTIIC) will be a new division of the Office of the Director of National Intelligence and will be responsible for integrating cyberthreat intelligence gathered by the National Security Agency, the Central Intelligence Agency, and others and sharing it across the federal government. Lisa Monaco, the president's top aide for counterterrorism and homeland security, says the government needs to "adapt quickly and take a comprehensive approach" to combat more sophisticated and dangerous cyberthreats. Rep. Mike McCaul (R-TX), chair of the House Committee on Homeland Security, says the CTIIC should work closely with the Department of Homeland Security's National Cybersecurity and Communications Integration Center, the primary government division responsible for warning private companies and the public about cyberthreats. The announcement of the CTIIC was greeted with skepticism by some. Gregory Nojeim of the Center for Democracy and Technology says it is "not clear that the [CTIIC] is necessary, given the other entities already charged with dealing with the cyberthreat." European researchers have developed Poppy, an open source, 3D-printed, humanoid robot. The researchers hope to make Poppy part of vocational training in schools, giving students the opportunity to learn and experiment. "Very little has been done to explore the benefits of 3D printing and its interaction with computer science in classrooms," says European Research Council scientist Pierre-Yves Oudeyer. "With our Poppy platform, we are now offering schools and teachers a way to cultivate the creativity of students studying in areas such as mechanics, computer science, electronics, and 3D printing." Oudeyer notes Poppy's body was created using a 3D printer and the robot's behavior is controlled by freely available software, which makes it easy for users to experiment with building personal robots. In addition, Poppy is compatible with the Arduino platform, enabling the robot to interface with other electronic devices. Oudeyer says Poppy also enables users to share their ideas and results in a very open and collaborative way through a dedicated Web platform. He already has used Poppy in an ongoing artist residence program, in which a dancer and a visual artist explore the emotions and perceptions of body gestures and movements using the robot. Facebook and LinkedIn have launched a collaborative initiative to boost the shrinking numbers of women studying engineering and computer science in order to fill thousands of lucrative Silicon Valley jobs that are traditionally dominated by men. The initiative includes mentoring and support programs at colleges to get more women involved in studying technology in general, but also as future employees. "If everybody who creates a product looks the same, you know the results won't be nearly as interesting," says Anita Borg Institute CEO Telle Whitney. "We want for the sake of our future to have women involved in all the projects that will change our lives." Although the executives would not disclose how much of a financial commitment they are making, the initiative is different in that it is more focused on peer groups and a mentoring process already established through Lean In Circles, an international conversation about the lack of women in positions of power, launched by Facebook's Sheryl Sandberg in 2011. "A lot of our consumers, at least half, sometimes more, are women," Sandberg says. "We build a product that gives people a voice. We know we can't build a product for the world unless our teams reflect the diversity of the people who use the product." Researchers at Bell Labs and the University of Cambridge built a prototype of a deep-learning program that runs on a modified Android smartphone. The researchers believe deep learning can improve the performance of mobile sensing apps. They examined whether the prototype could improve a smartphone's ability to detect, from data collected by an accelerometer on the wrist, if a user was performing a specific task. The researchers also tested whether the phone could determine users' emotions or identities from recordings of their speech. They found their software was 10-percent more accurate than other methods at recognizing activities. In addition, the new neural network was able to identify speakers and emotions about as accurately as other methods. Moreover, the prototype network had just a fraction as many connections between its artificial neurons as a system created by Facebook last year. "It's all about, I think, instilling intelligence into devices so that they are able to understand and react to the world--by themselves," says Bell Labs principal scientist Nic Lane. The biases of elementary school teachers have a profound effect on whether or not girls pursue studies in math and science, suggests a new study from the National Bureau of Economic Research (NBER). Beginning in 2002, NBER researchers began following three groups of Israeli students from sixth grade through the end of high school. Students were given two exams covering multiple subjects, one that was graded by their teachers and another one that was graded by outsiders who did not know the students. The researchers found girls outscored boys in math when graded by outsiders, but this was reversed when they were scored by their teachers, an effect that was not seen in other subjects such as English and Hebrew. The effects of the biased grading showed up in junior high and high school, with those girls who had been underscored by their teachers being much less likely to pursue advanced math and science courses than the boys who had been scored better. "The most surprising and I think important finding in the paper is that a biasing teacher affects the work choices students make and whether to study math and science years later," says co-author Edith Sand. Modern transportation systems often are meticulously laid out, but a snowy day can dramatically change the way people use them, causing slow downs and other disruptions. Paul Torrens, a geographer at the University of Maryland, is using big data culled from social media to develop better models of the ways people behave when snow begins to fall. He and his fellow researchers take location- and time-stamped posts from services such as Twitter and use them to create realistic behaviors for virtual humans, or "agents," in what is known as agent-based modeling. The technique creates simulations in which individual agents act independently as well as interacting with other agents. Using the social media data, Torrens and his team are able to build more realistic behaviors for the agents in their simulations to see how snowfall changes the way people use transportation systems. One of Torrens' colleagues, Vanessa Frias-Martinez, says the team can now simulate whole cities in near-real time using this technique, which Torrens has used to study earthquake evacuation patterns. The researchers say their models could prove invaluable to transportation planners and help them build more resilient systems that can absorb the shock of a major snowfall. Researchers at Northwestern University and Carnegie Mellon University (CMU) recently conducted a study examining the "virtual bump illusion," which occurs when forces are felt by the fingers as they travel along a flat surface. As part of the study, participants drew their fingers over a flat surface with two "virtual bumps." Under certain circumstances, the subjects felt only one bump when there are really two. "By leveraging the virtual bump illusion, we were able to design a meaningful experiment that shed light on the way the brain integrates information from multiple fingers," says Northwestern professor J. Edward Colgate. He notes the "big finding was 'collapse'--the idea that separate bumps felt in separate fingers are nonetheless experienced as one bump if their separation happens to match that of the fingers." The experiment presented two virtual bumps, with the distance between them varying across trials. When the bump and finger spacing were identical, subjects reported feeling two bumps as one. "An important step toward effective surface haptics is to understand what kinds of stimulation might lead you to feel something other than uniform flatness when you touch the surface of your device," says CMU researcher Roberta Klatzky. An important feature of the model is it assumes the brain is biased toward inferring causes rather than registering coincidences. Researchers in Spain have developed Alicia, an application to assist elderly patients with administering their own medications at home. Alicia notifies users when it is time to take a medication dose or a walk or any other activity that complements the treatment program. The team's research shows forgetfulness is the leading cause of mishaps in drug self-administration, and many patients also are confused about their medication. A team from the Calite Research group and the Department of Statistics, Mathematics, and Computer Science at the Miguel Hernandez University (UMH) collaborated with Spanish medical centers to develop the complex app, which requires a great deal of personalization. On a test of 99 patients, 94 percent found the app easy to use. "It reduced the repetition of mistakes in almost half of cases and increased involvement in self care," says UMH professor Jose Joaquin Mira. The team has adapted the app for use with iPhones, iPads, and Android devices. University of Rochester professor Jiebo Luo, working with a team from Adobe Research, says he has developed a better way to train computers to digest data in the form of images. Treating the task of extracting sentiment from images as an image classification problem, the researchers used the Flickr images loosely labeled by a machine algorithm in the SentiBank database. They then discarded images with labels that did not match the evoked sentiment. The researchers fine-tuned this sentiment analysis engine using images extracted from Twitter and crowd intelligence via the Amazon Mechanical Turk platform to help categorize the images. The team reports the domain-adaptation process could improve on current sentiment analysis of Twitter images. Moreover, the researchers learned the accuracy of image sentiment classification exceeded that of the text sentiment classification on the same Twitter images. Luo says extracting sentiments from images could be used to measure economic indicators or predict elections. Researchers at the universities of Aberystwyth and Cambridge have developed Eve, an artificially intelligent robot scientist that could make drug discovery faster and less expensive. "Eve exploits its artificial intelligence to learn from early successes in her screens and select compounds that have a high probability of being active against the chosen drug target," says Cambridge professor Steve Oliver. First, Eve systematically tests each member of a large set of compounds in the standard brute-force way of conventional mass screening. The compounds are screened against tests designed to be automatically engineered, and can be generated much faster and more cost-effectively than the conventional bespoke tests, which enables more types of tests to be applied, more efficient use of screening facilities to be made, and thereby increases the probability of a discovery within a given budget. "Every industry now benefits from automation and science is no exception," says University of Manchester professor Ross King. "Bringing in machine learning to make this process intelligent--rather than just a 'brute force' approach--could greatly speed up scientific progress and potentially reap huge rewards." University of Texas at Dallas (UT Dallas) researchers, with the help of a $522,000 U.S. National Institutes of Health grant, are harnessing the power of smartphones to help improve the quality of life of people who wear hearing assistive devices (HAD). Conventional hearing devices do not have very powerful processors in order to keep the device small, inexpensive, and low-powered. However, "smartphones used by billions of people have very powerful processors and other features such as large memories, microphones, speakers, wireless technology, and long-lasting batteries that could aid HAD wearers," notes UT Dallas professor Issa Panahi. Although current HAD algorithms can differentiate between a limited number of noises, more sophisticated algorithms are needed to cover more types of background noise signals. The UT Dallas researchers want to focus on the automatic classification of various background noise signals and enhance both the quality and intelligibility of speech signals in noisy environments and crowded places. "Current hearing aids don't enhance speech signals optimally in an automatic manner," Panahi says. "The success of this project will open the door to the development of a wide collection of smartphone apps to be used in conjunction with hearing aid devices." In an interview, Maarten Sierhuis, director of the Nissan Research Center, discusses his efforts to advance autonomous vehicle technology. Sierhuis previously worked at the U.S. National Aeronautics and Space Administration (NASA), and the Center recently announced a new partnership with NASA. Sierhuis says the problems the two organizations are working on are similar, although they involve driving on different planets. Sierhuis also discusses Nissan Research's work with anthropologists, saying they assist in what he calls "human-centered computing," a way of building computer systems by basing them on observations of the ways humans behave. He says this is especially important in designing autonomous vehicles, where navigating streets inhabited by unpredictable people is a major challenge. Sierhuis says today most people would qualify as more competent drivers than even the most advanced autonomous driving system in large part because these systems have trouble reading what he calls the "coordinated chaos" of human traffic. Anthropologists help by gathering information and observations about the ways human drivers interact with each other on the road. This information is used to help create simulated driving environments in which Nissan can test its autonomous driving software without having to endanger civilians.